An event honoring the late civil rights leader was held at the Roosevelt Public Library Saturday. Long Island and the nation will observe King's 90th birthday this Monday. 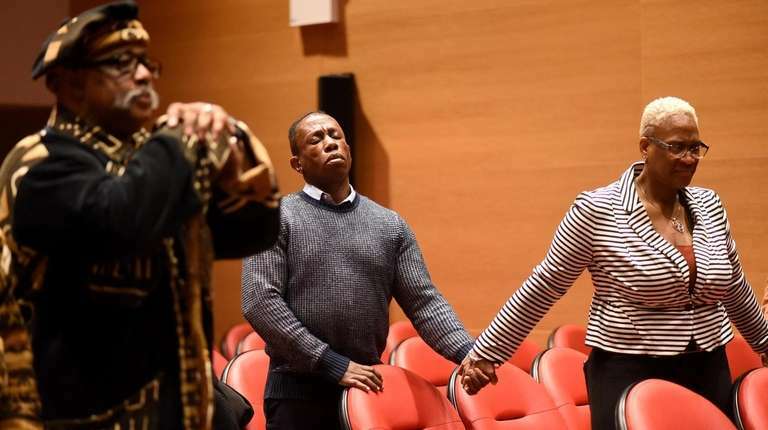 From the time Martin Luther King Jr. became an ordained minister in 1948 until he was killed by an assassin's bullet, the civil rights leader had a holy strength behind his fight for equality, a Queens clergyman said Saturday. "Everything that Martin did, he realized that God was with him," said Gerald W. Smith, pastor at Starlight Church of God in Christ in St. Albans. 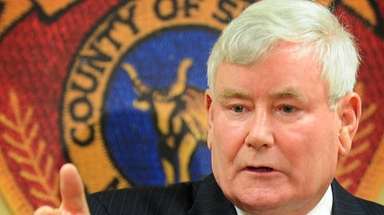 Smith was the keynote speaker during a King tribute event held at the Roosevelt Public Library. 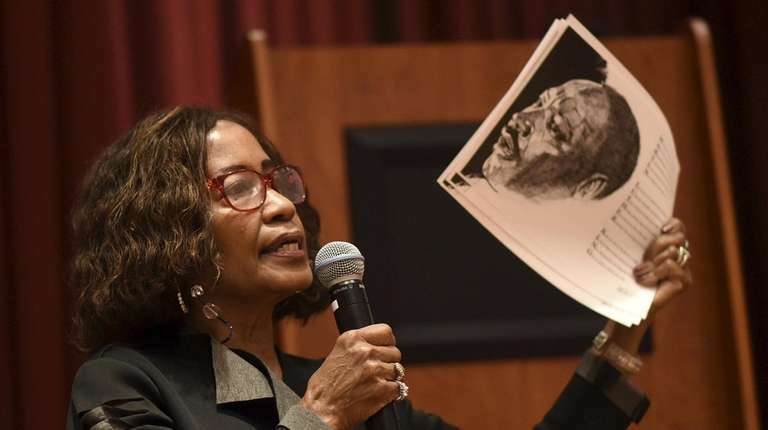 The event was the official kickoff for a series of programs the library hosts for Black History Month, said Carol Gilliam, Roosevelt's black heritage librarian. Gilliam called King "an American prophet in the biblical sense" and said his message of nonviolent efforts to eradicate inequality is just as relevant today as it was decades ago. King was killed in 1968 in Memphis, Tennessee. In 1983, President Ronald Reagan signed into law legislation making King's birthday a holiday, and it was first observed nationally three years later. Not all states celebrated the holiday initially, but all 50 observed the day for the first time in 2000. Long Island and the rest of the nation will observe King's 90th birthday Monday. Municipalities across the Island will be closed and some private businesses will give their employees the day off. Community organizations are also planning King-inspired programs. 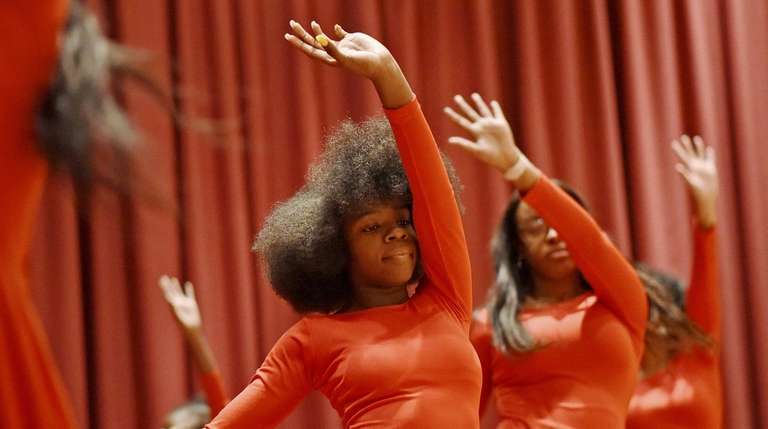 In Uniondale, the library held a musical multimedia event Saturday to honor King. During his 20-minute speech in Roosevelt, Smith said King was a trailblazer who was ahead of his time. King excelled in school, Smith said, and then became a church pastor. In 1955, King's life changed forever because of the Montgomery, Alabama, bus boycott, when African-Americans refused to ride city buses to protest segregated seating. "Martin was named one of the head leaders of this boycott because he knew he had to stand for something," Smith said. The one-year boycott ultimately led to the U.S. Supreme Court ordering Montgomery city officials to integrate the bus system, and it catapulted King into the national spotlight as a civil rights leader. King, Rosa Parks and others involved in the boycott learned a valuable lesson about uniting for change and forcing opposition to adhere to your demands, Smith said. "When you stop supporting somebody, and that money stops flowing, they change their mind about how they're going to treat you," Smith said. Smith also noted that King tried to get support for equal rights and eradicating injustice from President Dwight Eisenhower, but King's pleas fell upon deaf ears. King found a more open ally in John F. Kennedy, said Smith, a Roosevelt resident who also sits on the library's governing board. King's advocacy has impacted African-Americans long after his death, Smith said. This generation of African-Americans are allowed to become what God has intended them to be because of King's work, Smith said. "Our children's children can go to school with one another; we can fellowship both black and white and that's all because of Dr. Martin Luther King having made up his mind that 'I want change to come,' " he said. Heastie, Stewart-Cousins rewrite NY historyAndrea Stewart-Cousins, a friendly girl eager to help others, grew up in public housing in the Bronx and Manhattan, and Carl Heastie, a quiet, studious kid, grew up in a middle-class section of the northeast Bronx.